The North Carolina Entrepreneurship Center strives to bring programs to the university and community in general that are intended to INSPIRE people to think entrepreneurially, to EDUCATE through new kinds of learning outside the classroom. CONNECT nascent entrepreneurs with those who have been successful. These efforts help CREATE new career paths that allow people to follow their passions, either by helping existing companies grow or by creating their own companies or social ventures. Typically the 3rd Wednesday of every month during the Academic year. Come for the story, the advice and the opportunity to ask questions and learn from those who are succeeding. Make connections with others with similar interests. Sponsored by the Guilford Merchants Association. “Entrepreneur Day is a great way to connect your students with business and non-profit leaders in fields directly related to their studies. 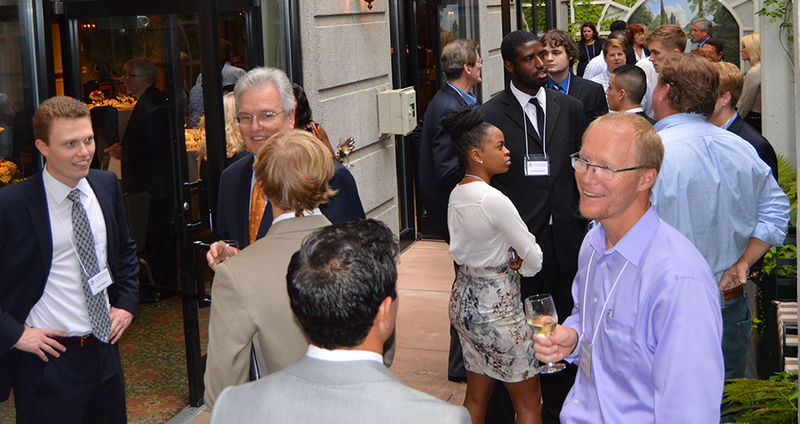 It also helps UNCG engage in a meaningful way with key alumni and executives. This year we are preparing to host over entrepreneurs in over 80 classes around campus. 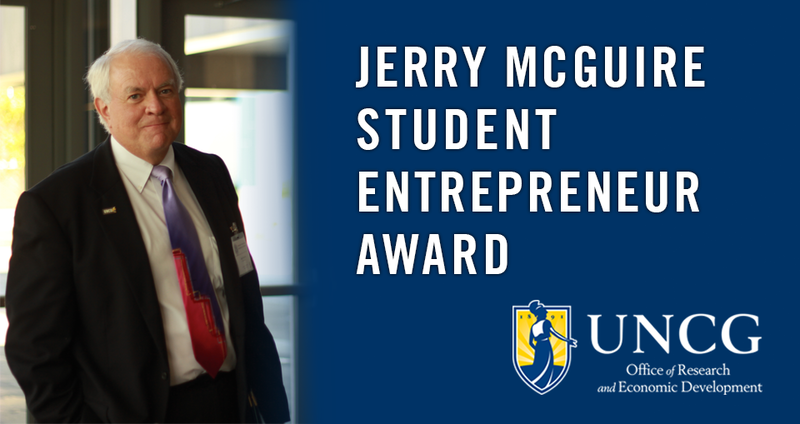 The Jerry McGuire Student Entrepreneur Award is an annual $1,000 award going to UNCG’s most entrepreneurial student or student team. The award recipient will be announced at UNCG Entrepreneur Day. Click the link above for more information on the award and to nominate someone (or yourself)! 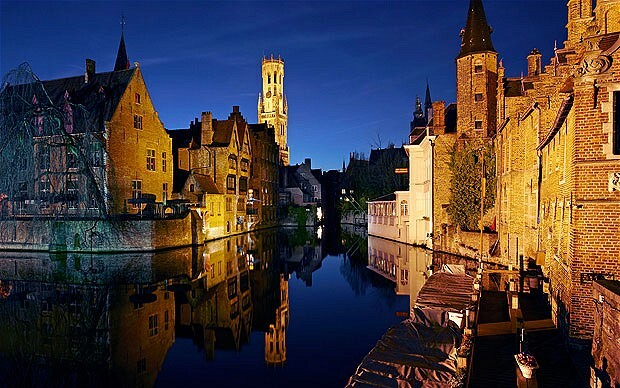 Experience Business Abroad offers the exciting opportunity to travel to Belgium and learn about global entrepreneurship while working in international teams to develop plans for new global startups and non-profits. Through the Greensboro I-Corps program students, faculty and alumni of UNCG and NCAT would be eligible to receive up to $5000 in mini grant funding to explore if their idea or innovation has the potential to become a scalable business. Pitch your idea to judges for a chance at over $2000 in cash and other valuable services. ExportU is a series of courses on exporting, designed to help U.S. companies begin an export initiative, and to gain increasing skills and innovation in their international sales. This course is designed for new-to-export firms and current exporters that would like expert advice on the export process basics. 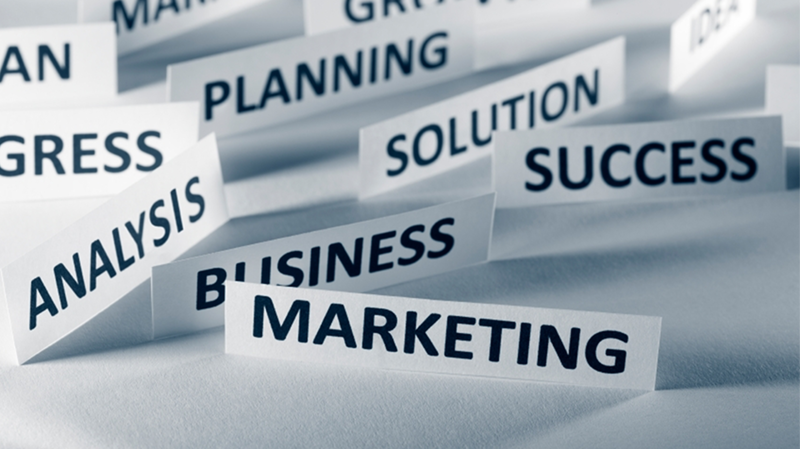 Team up with other students to create a business plan that addresses a social need. Winning teams will win up to $3000 for undergrad and $5000 for graduate teams. Contact us for more info. Meet with other co-founders and start a business over a weekend with a chance to win great prizes.